We're always looking for ways to boost our productivity—but is that all that matters? Drink hot lemon water. Do yoga. Don’t check your phone. Run six miles. Take a bath. Meditate. Read. Spend time with your family. Go to the gym. Eat oatmeal. Take a cold shower. Countless articles have been written on how successful people spend their mornings and evenings. What does Elon Musk have for breakfast? What time does Oprah go to bed? What do top CEOs accomplish before you even open your eyes? We fetishize the daily habits of successful people. Why exactly do we love reading about how they organize their mornings and evenings? Humans are curious creatures. We’re psychologically wired and socially cultured to participate in voyeuristic behaviors. And we especially love catching glimpses into successful peoples’ lives. Consider the amount of time we spend on social media apps, often following celebrities and influencers we don’t know personally. While we know we can better use our time, we still regularly consume their social media content—sometimes to the point of obsession. Not surprisingly, many articles stress the importance of tech-free mornings and evenings. Checking our phones—whether our email, text messages, or Instagram feeds—is one of the worst ways to start the day. It not only affects our productivity, but also our emotional and personal wellbeing. Much like our social media addiction, reading about successful peoples’ routines feeds our evolutionary curiosity, and satisfies our desire to compare our lives to others and learn from them. When we talk about our fixation with successful peoples’ habits, the keyword here is “successful.” Morning routines are associated with productivity, which is often seen as the measure of success. In today’s culture of productivity, we’re concerned with how to get the most out of our day, every day. Many of the successful people we read about are early birds, waking up as early as 3:30am. Their morning routines focus on planning for the day ahead and on big picture goals. But what if you’re a night owl and prefer to get more done in the evening? While night owls tend to be labelled as lazy, the time when we’re most alert and productive is not a conscious choice. It’s our genetic fate. 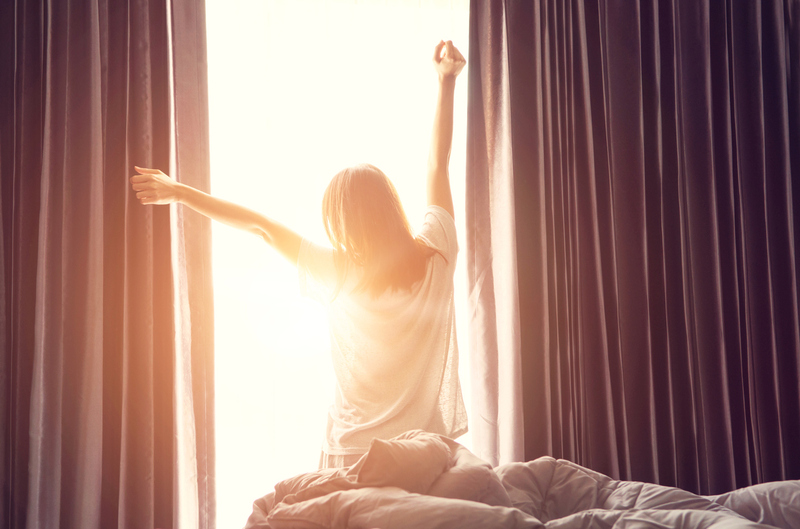 Experts say it’s not when you wake up, but what you do in the first 20 minutes of your day that can set you up for success. So if you’re a night owl, forcing yourself to wake up at the crack of dawn because Michelle Obama does will do more harm than good. There is a degree of privilege involved in the control we have over our morning and night routines. Even if you’re a night owl, society’s work and school scheduling are strongly biased toward early start times. While our work, health, and family situations vary, we can still customize our early morning and late evening hours to a certain degree. That sense of control is what appeals to us when reading about successful peoples’ habits. Especially in today’s business environment where work is no longer tied to the office and we’re always connected, we need a sense of control and balance between our work and personal lives. The way we bookend our days can help us make real personal progress and achieve our goals. Creating consistent morning and night routines doesn’t only help us be more productive, but also helps us find time to be more present. Habits “shape our lives far more than we realize,” Charles Duhigg writes in The Power of Habit. When shaping your morning and evening habits, focus on consistency and balance. Aim to accomplish important tasks when you’re most alert, and to take time to center yourself. It’s easy to get caught up in when successful people wake up and go to bed. There’s nothing wrong with embracing our curiosity and reading about how Oprah organizes her day; it might inspire us to make key life changes. But remember you don’t need to wake up at 3:30am to feel like a productive member of society. Kelly is a freelance writer and editor based in Montreal. She is a notebook hoarder, list maker, and pun appreciator.